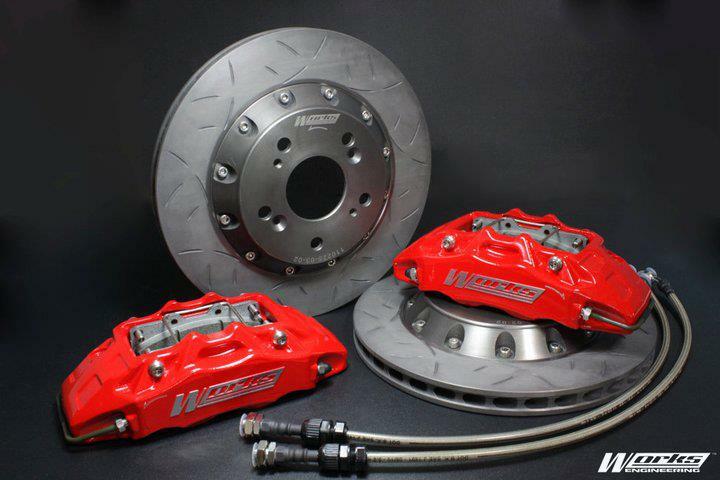 Work Engineering Racing brake kit is designed by the latest technological advancements and provides the ultimate stopping power for vehicle . 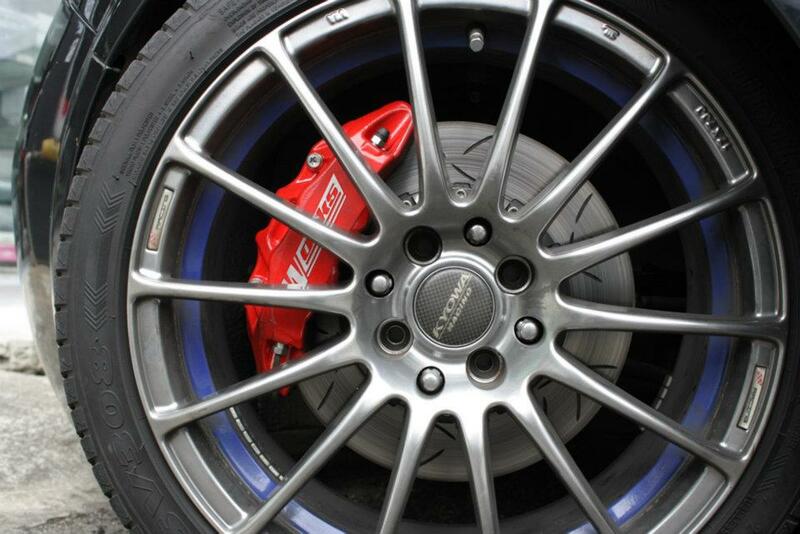 It allows reducing brake fade, continually cools and refreshes the brake pads surface under braking. -Specialized heat treatment for improved brake rotor durability and braking performance. -Special Heat resistance paint for excellent anticorrosion. -The unique groove design to remove dust from the brake surface. -286mm rotor ：Apply to 15"
-300mm rotor ：Apply to 16"
-330mm rotor ：Apply to 17"
-345mm rotor ：Apply to 18"
Actual picture after install it.